PRICE REDUCED. SELLER MOTiVATED! CLASSIC 1948 TRADITIONAL STYLE 3 BEDROOM 1 1/2 BATH HOME IN IMMACULATE CONDITION! GORGEOUS NEWLY REFINISHED SOLID OAK FLOORING THROUGHOUT. 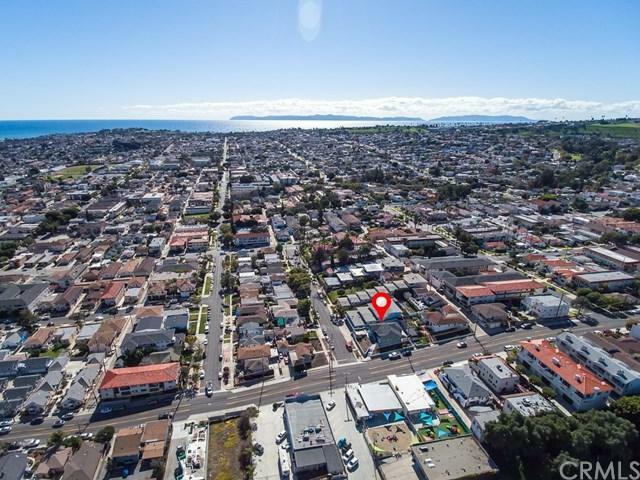 TAKE YOURSELF BACK INTO GOLDEN ERA OF SAN PEDRO'S RICH HISTORY WITH THIS CLASSIC HOME PERCHED HIGH ON A CORNER LOT WITH A 180 DEGREE VIEW OF SAN PEDRO BAY AND THE SNOW CAPPED MOUNTAINS. THIS HOME IS IDEAL FOR A LARGE FAMILY WITH 3 GENEROUS SIZE BEDROOMS, NEW DOUBLE PANE WINDOWS, A FORMAL DINING ROOM, LARGE GALLEY STYLE KITCHEN AND EATING AREA WITH NEW HIGH END LAMINATE FLOORING AND EXTRA LARGE MAIN BATHROOM WITH A SEATED TUB AND SHOWER.. NEW FORCED AIR HEATING AND AIR CONDITIONING. ABOVE THE GARAGE, THE IS A LARGE PATIO VERANDA THAT CAN BE USED FOR OUDOOR ENTERTAINMENT. AT THE REAR OF THE HOME IS A LARGE SERVICE PORCH AND A SEPARATE QUAINT SUMMERHOUSE WITH A FIREPLACE. DON'T MISS THE EXTRA LARGE BASEMENT UNDER THE HOME WITH NORMAL SIZE CEILINGS, IDEAL FOR A LARGE WORKSHOP OR HOME OFFICE. BECAUSE THIS HOME HAS BEEN OWNED BY THE SAME FAMILY FOR OVER 65 YEARS, EXTRA ATTENTION HAS BEEN PAID TO KEEP THIS HOME IN METICULOUS CONDITION WHILE MAINTAINING ITS CLASSIC 1940'S CHARACTER. HURRY THIS WON'T LAST! !